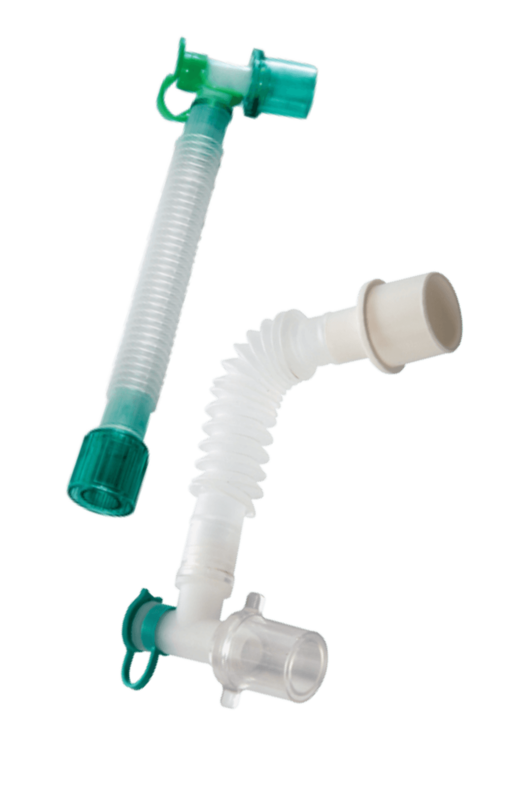 Catheter Mounts are of great use to add ' extra length' to the breathing system when needed. Meditech manufactured catheter mount is compatible with all Breathing and Ventilator circuits. Catheter Mounts are of great use to add ‘ extra length’ to the breathing system when needed. Meditech manufactured catheter mount is compatible with all Breathing and Ventilator circuits. Catheter Mounts is connected between the patient and the breathing system. The catheter mount with double swivel connector and flexible tubing provides mobility and flexibility to the patient end of the circuit. The catheter mount is used as an intermediary connection between the patient and the breathing system. These tubes are made of a special flexible co-polymer. These tubes have a minimal compliance with low dead space volume. The catheter mount is fitted with a double swivel connector and flexible tubing. Each catheter mount has a 22 mm female / 15 mm male end to connect to the breathing system and 15 mm female end to connect to the endotracheal tube or laryngeal mask. The length of the tubing is around 13 cm.